Walks provide an opportunity to hear updated and reliable information on the flora and fauna that thrive in the Garden. They also connect visitors with Mother Nature. 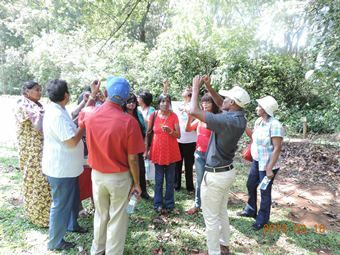 Guided tours are offered to the public and schools on weekdays and weekends, between 09h00 and 15h30. 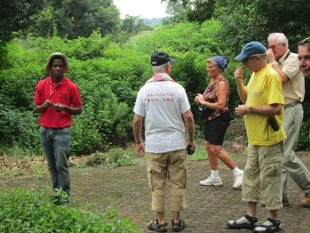 For guided tours visitors pay the normal Garden entrance fee. See our homepage for details. Booking is essential. 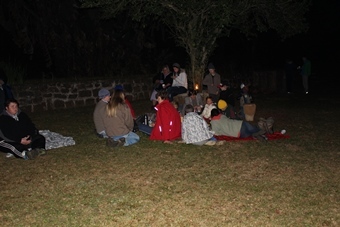 Night walks are also available on request at R30 per adult and R20 per scholar and pensioner.